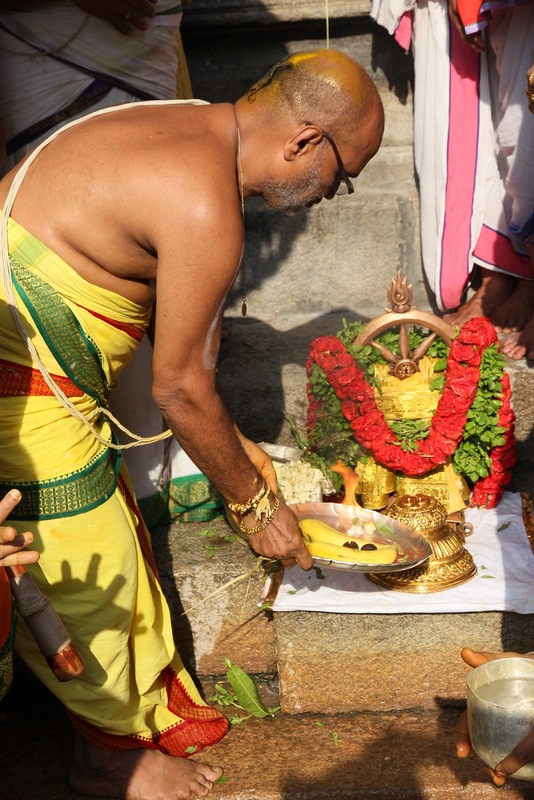 Tirupati, 11 Apr. 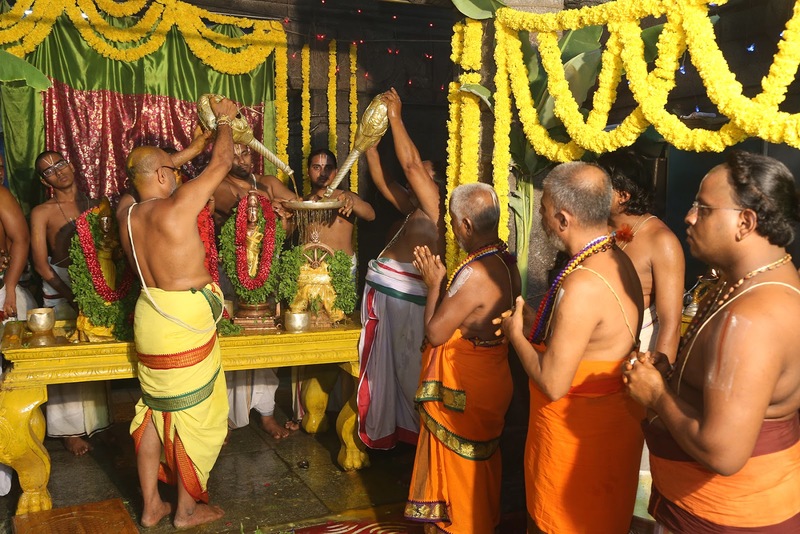 19: The annual brahmotsavams in Sri Kodandarama Swamy Temple in Tirupati on Thursday concluded on a grand note with Chakrasnanam. 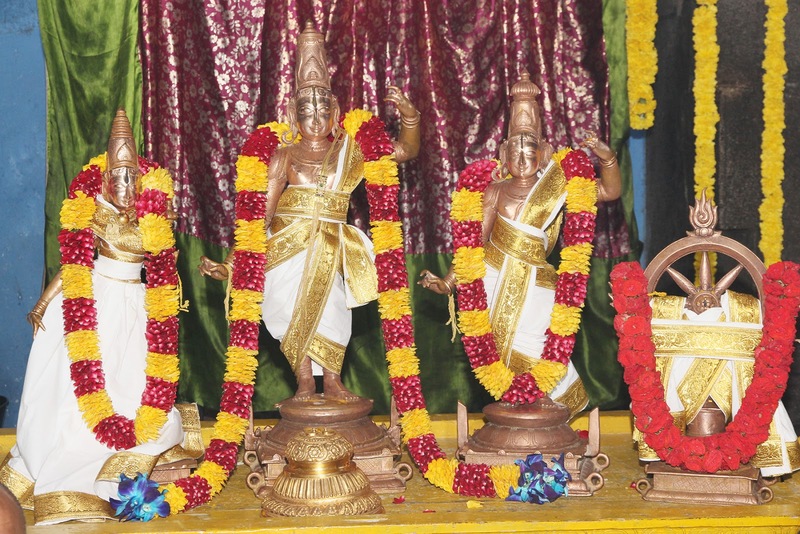 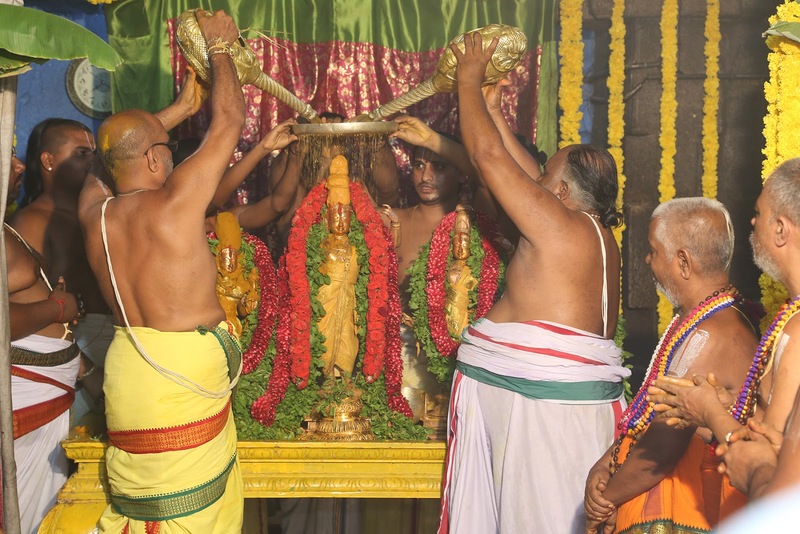 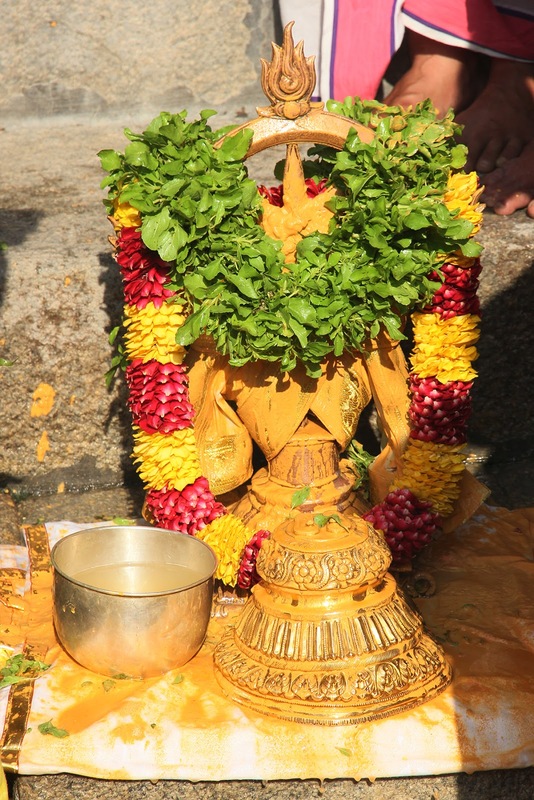 The Snapana Tirumanjanam was performed to the utsava murthies of Sri Rama, Sita and Lakshmana deities along with Sri Sudarshana Chakrattalwar in the morning. 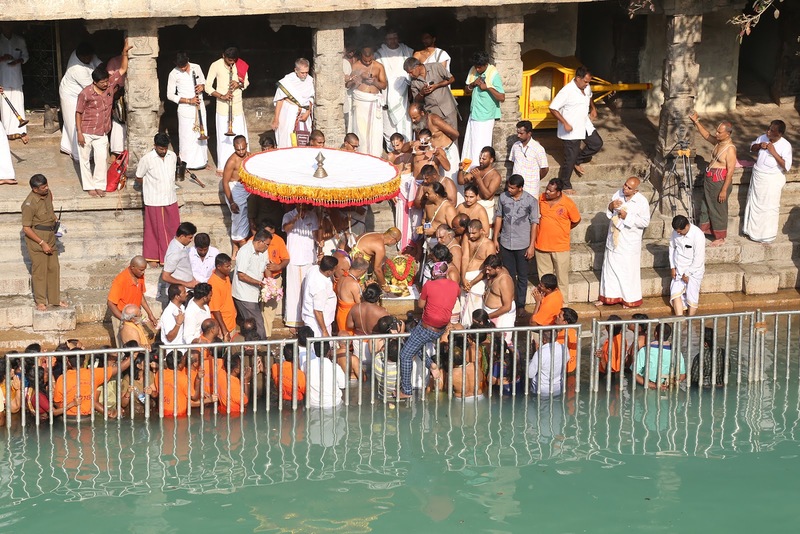 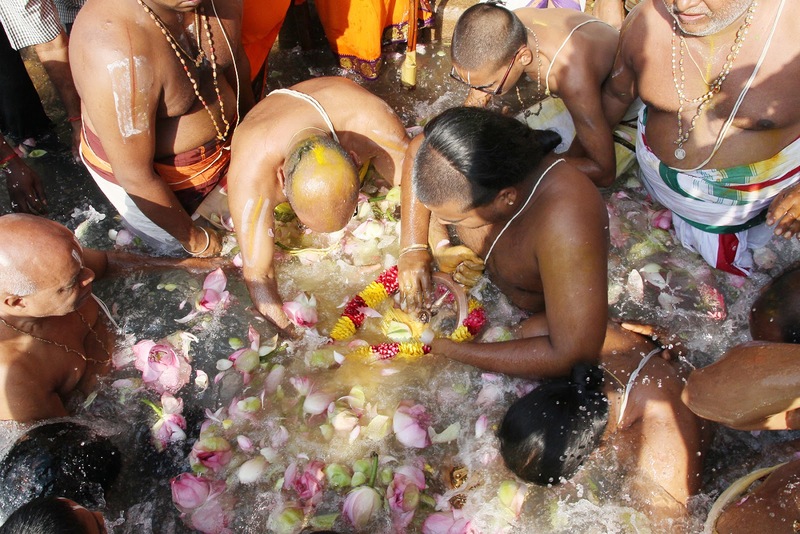 Later the anthropomorphic form of Lord, Sri Chakrattalwar was offered celestial bath in the auspicious hour in the holy waters of Kapilatheertham. 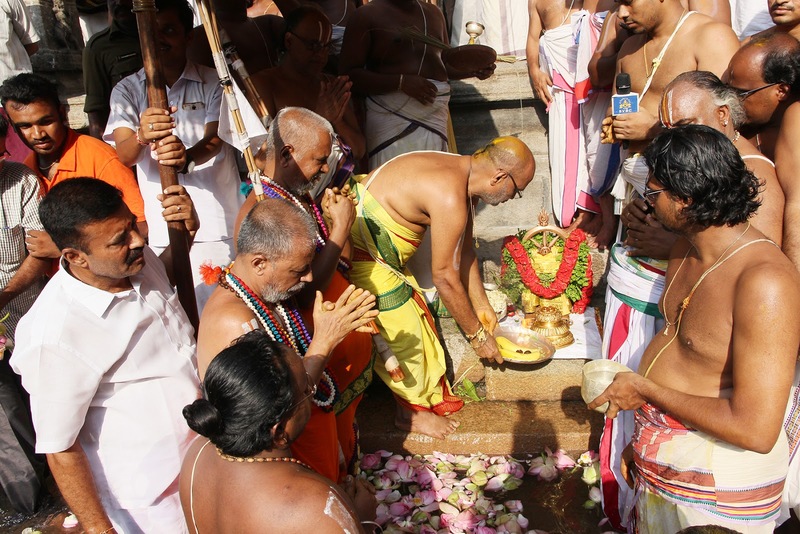 HH Sri Sri Pedda Jeeyar Swamy, HH Sri Sri Chinna Jeeyar SwamyTemple DyEO Sri EC Sreedhar and others were also present.